Seclusion as a necessary intervention: the relationship between burnout, job satisfaction and therapeutic optimism and justification for the use of seclusion is an academic article written by Brenda Happell and Stefan Koehn in 2011. This is the paper which this evaluation is focusing on. In this paper, the authors settled on the quantitative approach to research narrowing it down to the survey method of research design. Let's quickly examine what this method of research is. Its goal is basically to focus on objectivity and therefore goes through the process of getting answers that can be used to make generalizations as it concerns other situations. That is why scholars say that it is a research methodology which targets the explanation of certain phenomena by collecting numerical data that are analyzed using mathematical approaches particularly in statistics. Purpose of Study: According to Simon (2011), if we think of problem statement as the heart of a research, then we can think of the purpose of study as the brain. In other words, it means that the purpose of a research is a statement made to explain what the research intends to accomplish. Happell and Koehn (2011) vividly stated that the purpose of the paper was to answer the research question: is there a relationship between burnout, job satisfaction and therapeutic optimism and justification of the use of seclusion? Which means that the paper was aimed at analyzing and reporting nurses' attitudes in the use of seclusion. Significance of Study: The authors of the paper were not able to clearly spell out the importance of the study to give the readers the ample opportunity to get the thoughts of their research and the belief that informed embarking on the study as contained in the article's title. However, the authors were able to cite substantial body of literature especially from Queensland Government(2000) where they said that legislation tends to emphasis the importance that seclusion and other coercive practices are only used as a last resort, where other less restrictive practices have not been effective. Usually, such research will (should) help offer insight into the reasons why seclusion should be or should not be practiced owing to what it may cause as the after effects just like how Rakhmatullina et al (2013) in their study, "Morbidity and Mortality Associated with the Utilization of Restraints", gave reasons why restraint which sometimes goes with seclusion should not be practiced. Nevertheless, Carrying out a study like the one under evaluation on a nursing phenomenon should end up benefitting health practitioners and their institutions. In the same vein, these institutions based on these benefits, would in turn eventually device other alternatives to calming patients. They will hence be better positioned to address these issues when there is emergency. According to Burns & Grove (2011), a research problem is an area of concern in nursing practice that shows a gap in the knowledge base. In other words, research problem is a general statement spelt out clearly of an issue showing the essence of the research. Its nature basically will suggest appropriate forms for its investigation proper. However, Happell and Koehn (2011) did not clearly state the research problem for easy comprehension. They made (Terpstra et al. 2001, Duxbury 2002, Wynaden et al. 2002, Meehan et al. 2004) as their reference point, which suggested that nurses consider the use of seclusion as a necessary practice in order to facilitate an environment that is safe for patients and staff. From the paper, the research problem was embedded in the part where they revealed that this consideration by the nurses is so even when they know the destructive impact the practice has on both patients and the nurses themselves. Research question and Variable: The authors of the paper under review showed one research question which is what the paper was aimed at answering. The question was asked thus: is there a relationship between burnout, job satisfaction and therapeutic optimism and justification of the use of seclusion? Happell and Koehn stated clearly that the analysis technique used allowed investigation of the potentially confounding variables as age, gender, years of experience and type of nurse. According to Uwe Flick (2010), the decision about a specific question mostly depends on the researchers' practical interests and their involvement in certain social and historical contexts. Thus, research questions are meant to be used as guidelines to solve raised problems; they are stated as questions that explore the relationship between two or more variables. All research projects according to Korb (2012), are based around variables. Korb defined a variable as the characteristic or attribute of an individual, group, educational system, or the environment that is of interest in a research study. Variables can be straightforward and easy to measure, such as gender, age, or course of study as mentioned in the paper by Happell and Koehn (2011). 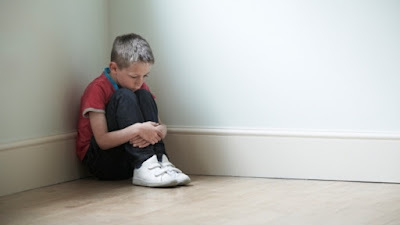 The study, even though the authors did not state clearly its significance, have the potential to contribute towards helping to solve the issue of seclusion as an alternative to calming a situation. For instance, they opined that the use of seclusion is influenced by the nurses' perception from subjective evaluation. They also suggested that the incidence of seclusion may be influenced by factors order than consumer characteristics. In other words, there is the need for nurses have the knowledge as to when to apply seclusion since they and the doctors are the ones who deem it fit to be used based on certain professional criteria. The authors’ literature review followed a logical sequence leading to the critical review of prior supporting and conflicting work. Their research purpose was drawn from the following pre-existing studies (Doeselaar et al. 2008, Terpstra et al. 2001, Duxbury 2002, Wynaden et al. 2002, Meehan et al. 2004). In line with this, a supporting statement was related to (Kaltiala-Heino et al. 2003) as its findings revealed from their data analysis. The authors presented the study through several pre-existing researches even those literature that were conflicting. For instance, they cited the findings of a Finnish study by Kaltiala-Heino et al. (2003) challenging the view that seclusion is only used as a last resort. Happell and Koehn were able to clearly relate their study to previous research with the above references they cited as supporting and conflicting findings of other researchers. However, the gap which the authors revealed in their abstract "factors that might be associated with attitudes have not been examined", was not addressed in the study. This implies that there ought to be further studies on this as they arrived at the gap after their findings. In the paper, Happell and Koehn did not present the theoretical framework for the study. The reasons why such study was embarked on was not presented and the theory upon which the research was based on was not also found in the paper. They also did not make visible, their academic guess which is the hypothesis. across eight mental health services in Queensland in 2008. Data analysis involved descriptive statistics and Pearson product-moment correlation coefficients. The methods of data collection were adequately described. They indicated that they measured eight units using the SNASS self report scale which included general closed questions requiring responses on a 3-point (ranging from never to often) Likert scale and a yes–no answer format. SPSS spreadsheet was described to have used in the data presentation. Descriptive statistics included numbers and percentage scores to assess participants’ perception of seclusion use on the ward and their personal seclusion attitudes. In the authors' description, they stated that external validity was further strengthened by statistically significant positive correlations with measures of clinical optimism and hope. The authors indicated that nurses from eight mental health services participated in the study which suggested the inter-rater reliability to be adequately sufficient for the study. According the authors, they employed independent samples t-test to examine differences between male and female participants on seclusion attitudes. They indicated that eight mental health services from metropolitan and regional Queensland participated in the survey. The authors stated that 200 questionnaires were distributed but 123 were returned representing a return rate of 61.5%. The sample size was relatively enough for the number of variables used. However, as is always the case when administering questionnaire, respondents' rights of privacy or any other right is always assured. But in this study, the authors did not point out whether or not they assured respondents of their personal rights. The authors used appropriate instruments for data collection. They stated that to measure nurses’ attitudes to the use of seclusion, they employed the Survey of Nurses’ Attitudes to Seclusion Survey (SNASS; Heyman 1987), which is a self-report scale. In the same vein, they measured job satisfaction using the Minnesota Satisfaction Questionnaire (MSQ). The MSQ consists of 20 items and three subscales, measuring intrinsic satisfaction. Furthermore, the Elsom Therapeutic Optimism Scale (ETOS; Elsom & McCauley-Elsom 2008) which is also a self-report questionnaire, was designed to measure clinicians’ level of optimism in conjunction with treatment outcome. Lastly on the instruments used, according to Happell and Koehn, Maslach Burnout Inventory (MBI; Maslach & Jackson 1986) was used to measure burnout. The reliability and validity of the measurement instrument were adequate owing to the reason that many researchers tend to apply instruments which had been used before in a study by other researchers. This no doubt, is to collect various preferred data at ease. This is true especially when the instruments’ validity and reliability were already established by a previous researcher. Therefore, they were adequate enough for the study. The authors identified the statistical test used for the study and to report the values as data and statistical analysis was performed using the SPSS version 15 spreadsheet to present the data in table formats. The statistics used by the authors no doubt were appropriate for the study according to the level of measurement, sample size, research question and their study methodology. The fact that they used appropriate statistics to analyze their data and to draw conclusion based on the findings of their study was deemed significant towards accomplishment of their research purpose. The results from the data collected were analyzed and presented clearly and objectively. To avoid ambiguous presentation, the authors analyzed the various instruments on separate tables. The figures and tables illuminated the presentation of the results in an easy to follow format and the clarity of the presentation was easy to understand by any reader. The authors made a great effort to present the results of each related barrier on a separate table together with statistical calculations of each response from the participants. The results of the study were not described in the light of any theoretical framework as there were no theories mentioned in the study. However, with minimal emphasis, the description was related to the supporting literature. The authors' conclusion was on the relationship between therapeutic optimism and emotional exhaustion which gives new information that might influence strategies and approaches taken with the aim of reducing seclusion use. They also concluded that further research is warranted to explore these relationships and their implications. By these, it could be deemed that the conclusion was drawn from the results analyzed. The limitation of the study is that on the general limitation associated with survey design. In the study the authors stated that it was not possible to establish cause and effect. That is, it was not evident whether the participants’ view about behaviors that justified the use of seclusion reflected their levels of optimism or emotional exhaustion, or whether participants who had a more positive outlook were less likely to justify using seclusion in particular circumstances. They also urged that the findings cannot be used for generalization. The authors eventually discussed the implications for practice and or policy thereby suggesting areas of further research. The study carried out by Happell and Koehn (2011) was not detailed does not appear to have sufficient quality to meet the criteria for scientific merit due to the fact that certain research elements like significance of study and hypothesis were missing. No enough research questions were provided to really help explore into more areas that would have expunged shortcomings. Although, the sample size was sufficient for the variables investigated, but the returned ones were too small at 61.5% to represent a whole. Even if the study lacks merit to meet scientific criterion, it no doubt has some points of relevance to practice especially in today’s mental health service practices. This is because the use of seclusion as an alternative to calming mental patients is still being practiced even when there are obvious side effects. When such is usually taken seriously, the hypothesis that eventually leads from the identification of this problem in a mental health institution is that "elimination of seclusion (and restraint in other cases) from a unit's treatment philosophy can lead to changes in patients' behavior that will ultimately reduce the incidences of the use of seclusion and/or restraints (Goetz and Taylor-Trujillo 2012). Moreover, it is worthy of note that this study is feasible for nurses to implement in nursing practice if mental health institutions project and make available, right information as to how to handle emergencies and violent situations when they arise; and making sure that appropriate and good quality assessment tools are provided and utilized well during the cause of their applications. These will go a long way to address the seclusion phenomenon. The benefits of the study really out-weigh the risk. This is because it is about health of patients. With this study, the health practitioners would be conscious of how to handle mental health patients and eventually avoid the side effects of seclusion. Burns, N. & Grove, S. K. (2011). Understanding Nursing Research: Building an Evidence-Based Practice.5th edition. Maryland Heights. Goetz, S.B., Taylor-Trujillo, A. (2012). A Change in Culture Violence Prevention in an Acute Behavioral Health Setting. Journal of the American Psychiatric Nurses Association, 18 (2):96-103. Rakhmatullina, M.,Taub,A., & Jacob, T. (2013). "Morbidity and Mortality Associated with the Utilization of Restraints." Psychiatric Quarterly: 1-14. Simon, M. K. (2011). Dissertation and scholarly research: Recipes for success (2011 ed.). Lexington, KY: Dissertation Success, LLC.